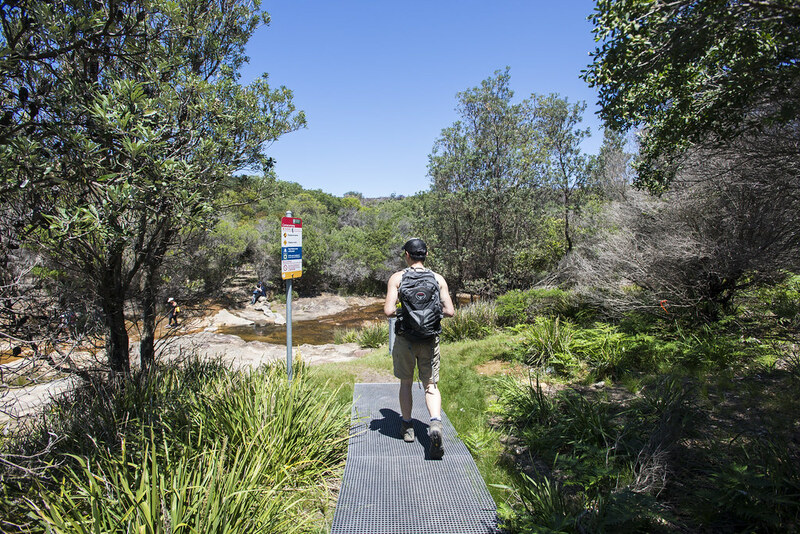 Start the walk from Wattamolla Car Park P5 (the top tier car park). GPS coordinates: -34.139188, 151.114139. 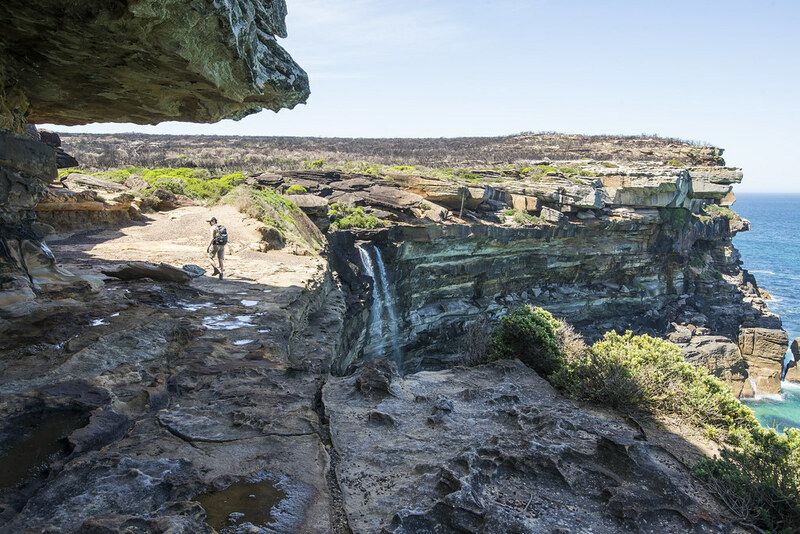 This walk is in the Royal National Park, NSW and you will need to pay the $12 park entrance fee if entering by car. Currently there is no direct transport link to the start of the walk. Visit transportnsw.info to plan your route. 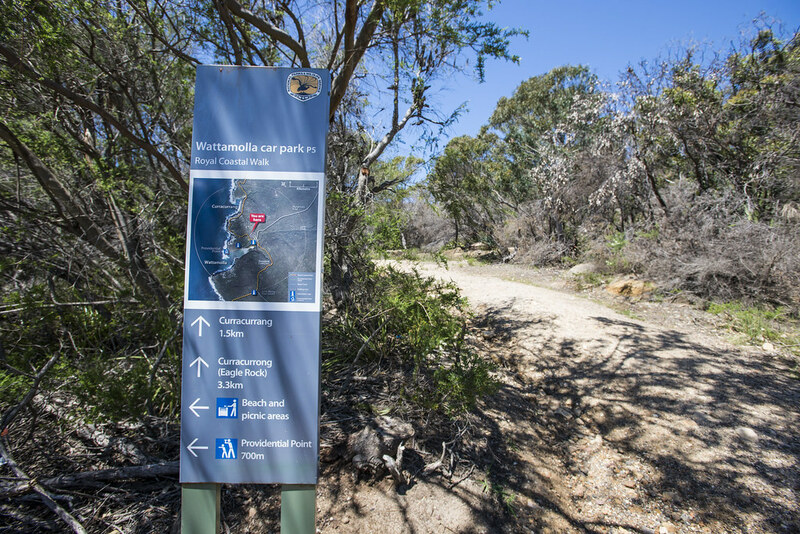 At Wattamolla car park P5, being the walk at the sign post on the south side of the car park. Walk straight, following the arrow pointing to Curracurrong (Eagle Rock) 3.3km. 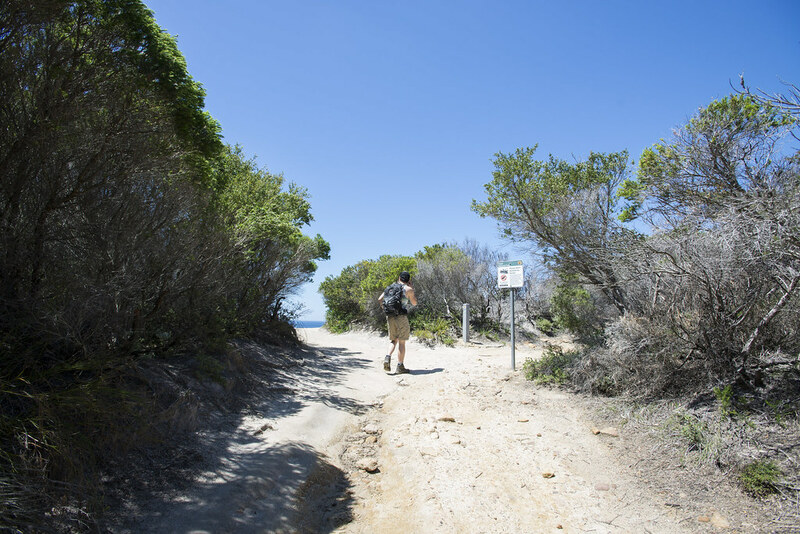 Continue along the path until reaching a fork in the path with a sign post. Follow the arrow on the sign post pointing right. Continue up the rocky path until you reach another fork with a signpost. 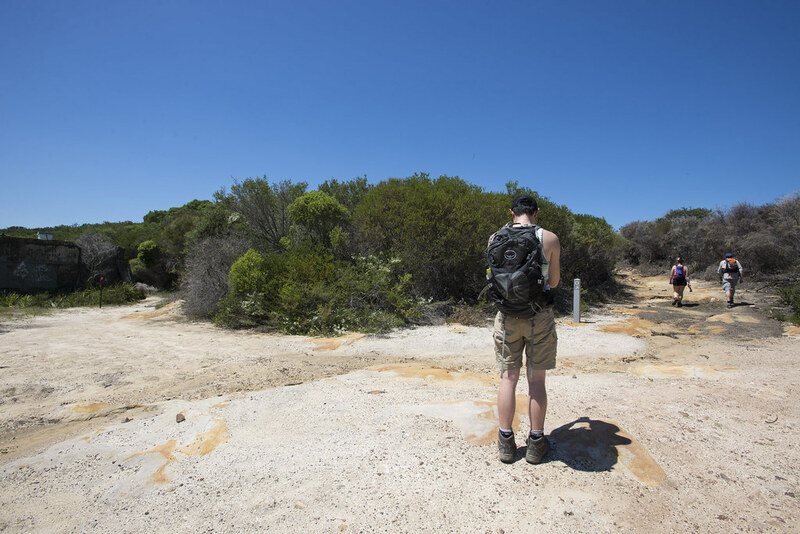 On the left is a short walk to a lookout with views of the ocean. Veer right at the sign post to continue on the walk. The walk follows the coast line with the ocean on the left. Continue along the bush track, reaching Curracurrang sign post near a creek crossing. Curracurrang Cove is a small cove fed by Curracurrang Gully. Cross Curracurrang Gully using the stepping stones. 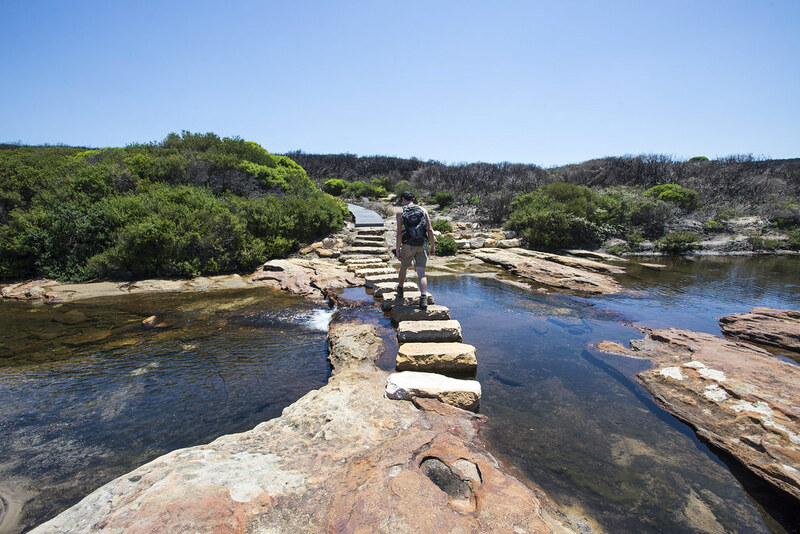 Follow the path until you reach Curracurrong Creek and cross the creek using the stepping stones. The path then winds left and gently uphill, facing towards the ocean. From here, Eagle Rock is visible on the left looking past where the creek drops into the ocean. 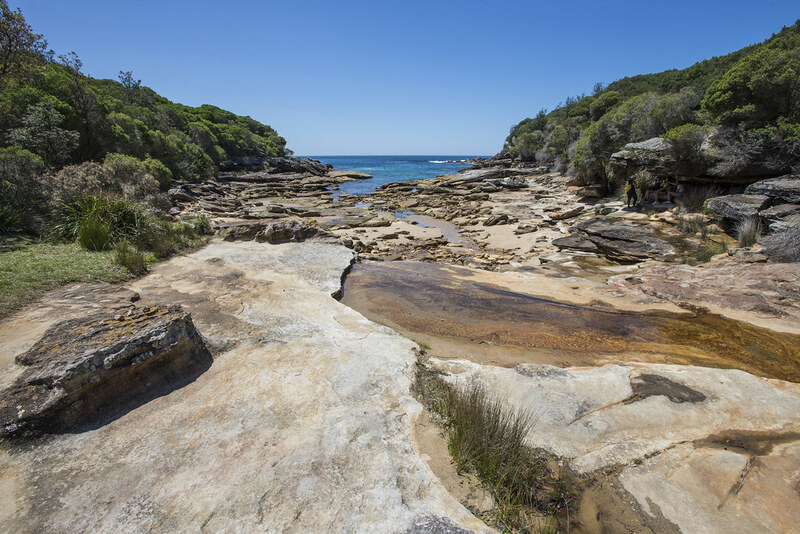 There is an unmarked path down towards the creek and bends right to a rock under hang with some of the best views of Curracurong Falls. 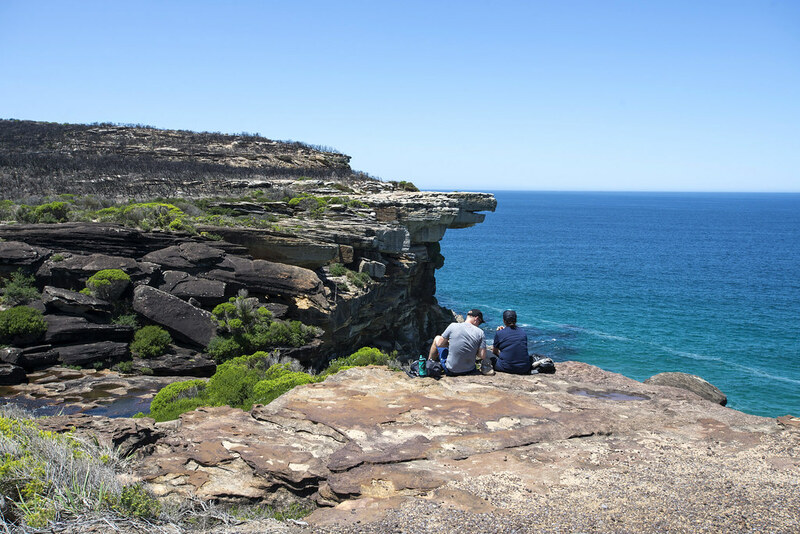 Follow @getoutdoors.io for the best scenery and adventures in Australia! Copyright © 2019 Get Outdoors.